P.O.V. Kit lets you mount more than just GoPro® brand P.O.V. cameras. It also works with the Sony Action Cam, some Contour cameras, and any P.O.V. camera with a 1/4"-20 tripod thread on the bottom. 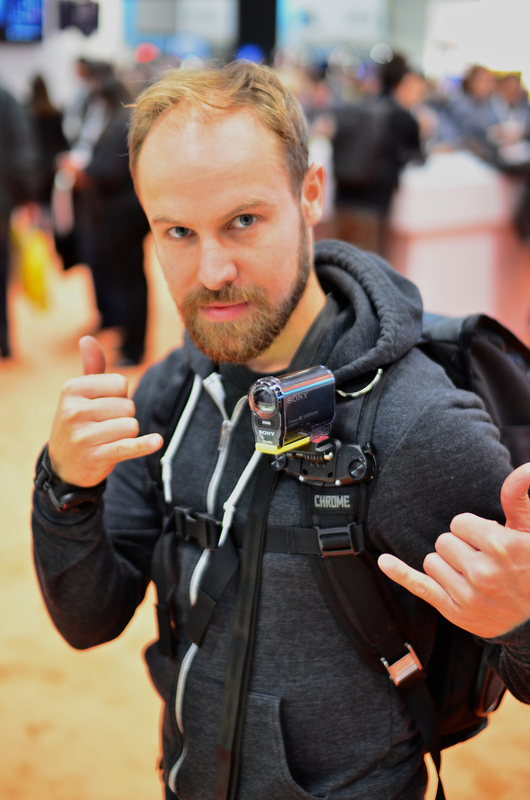 Our head product designer Art wearing a Sony Action Cam on his backpack strap with P.O.V. Kit and Capture. To mount a non-GoPro P.O.V. camera, follow the instructions for mounting a point-and-shoot camera. It uses the exact same hardware and setup.